George McGregor is the type of eight year old who spends his day wearing a cobbled together super hero costume. Armed with a secret power — a handy-dandy travel-sized pack of tissues — he saves the day and leaves the world tear and runny nose free. When his super hero-ing becomes mundane, a chance wish on a dandelion clock brings a new friend into George’s life. But this friend has a secret and its discovery leads to a larger than life adventure in a smaller than life world. With Mariquita as his ladybug guide, George experiences the fun and danger of an insect’s life. Mariquita is a feel good story that explores the meaning of true friendship. It offers a smorgasbord of humorous insect characters that kids will enjoy. This gorgeous cover uses one of Matthew Moir's drawings, colored by Angela Stevens. Mariquita has been two years in the making. It started out as a spur of the moment story starter for a group project the lovely Jason Howell was piloting. Originally, I had no intention of this story ever going further than one chapter, but Mariquita got stuck in my head and I ended up developing the concept to be my first Nanowrimo challenge. For those of you who have not heard of Nanowrimo, it is a self imposed challenge that many authors put themselves through in the month of November. The aim is to write 50,000 words in one month. It is supposed to free the writer, get them to focus on getting words down on the page and not be held back by editing and mundane things like where the story is heading. Having only discovered Nanowrimo a couple of weeks before I embarked on it, I just hashed out a plan and went for it. It was an awesome month and I not only wrote 50,000 words, but finished the entire 87,000 word novel before November 30th. Giddy from all the excitement, I shared it with some readers on wattpad and got some great reaction. It may have taken one month to write, but it took another two years to bring it to the point of publishing it. 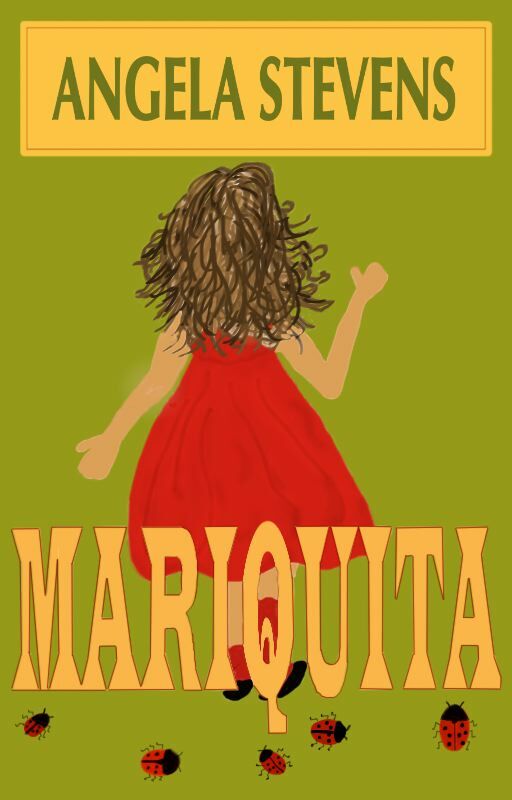 Now, almost twenty thousand words lighter- and with a whole new ending- Mariquita has made it onto Amazon for pre-order. Mariquita is chock block full of interesting and often amusing characters. Most authors at the beginning of their books like to trip out a disclaimer... The characters and places contained in this story are fictitious and... Well, in this story's case many of the characters have been inspired by someone. During my marathon writing stint, I received some awesome support from a Facebook writing group called Wattpad Avengers. At the time this was a vibrant group of like minded amateur writers that had banded together to support each other. Part way through my writing challenge, I called on their help. I needed a whole host of insect characters to color Mariquita's world. Each member of the group, chose an insect and they got written into the story. So when you read about Angel Luciernaga, the real 'Angel' (an awesome Dominican guy) is out there somewhere, immortalized as my Hispanic firefly. Even my illustrator, Matthew Moir appears under his writing pseudonym, Mathias, as the hapless slug. The characters based on FB members are- Uncle Matt, Aunt Wendy, Conni the mosquito, Hirrere and Kabuto the twin wasps, The Jackson Flies (Dempsey, Coby, Alicia, Jen and Lex), Angel Luciernaga the firefly, Duggy the dragonfly, Mathias the slug, Sharna the amorous caterpillar, Lolly the foul mouthed butterfly, Miss Bleu the bumble bee, and Shantelle the air-guitaring beetle. Skittle is named after the popular candy. As the story developed, I found that the character of George drew more and more from my son. George's obsession with superheroes and his wild dreams of what he would be when he grew up, all belong to the real 'George'- who is, for the record, no longer 8 years old but eighteen. My son was a quirky humored kid who walked a blurred line between fantasy and reality as a child. His love of dressing up and his imaginative games influenced this story a lot. The lovable fairy, Daisy, is based on my daughter of the same name. Ever since she was small, Daisy always wanted to be a faerie. I once made her a costume and she wore it everywhere we went. She is also now very much a grown up, but her love of faeries continues. And lastly, there is Skittle. Skittle is our very real cat. He is obsessed with things that dangle and is the most affectionate cat in the world. While I was editing this book, Skittle was taken ill with leukemia. A year on, and he is still going strong after going through chemotherapy. At the beginning of the book you will find a dedication to his wonderful oncologist who has given us so much extra time with Skittle. I was so lucky to find Matthew Moir. A superb writer in his own right, he has produced 18 pen and ink illustrations to bring my story to life. He is a lovable Aussie with a talent for drawing quirky characters. A fellow wattpadian, I was first impressed by his designs for his own cover for a novel he is working on. The Jackson Flies (seen to the left) is one of my favorite pictures and features five of the FB group members- Coby (guitarist), Dempsey (lead singer) Alicia (drums), and Jen n Lex (backing singers). In this illustration they are performing 'Raspberry Berries' a tongue in cheek insect homage to a great classic with a similar name, lol. For me, writing the story and developing it to the finished article is only half the journey. As many of you know I dabble in making my own covers. Over two years, my skills in this area have improved as much as my writing. 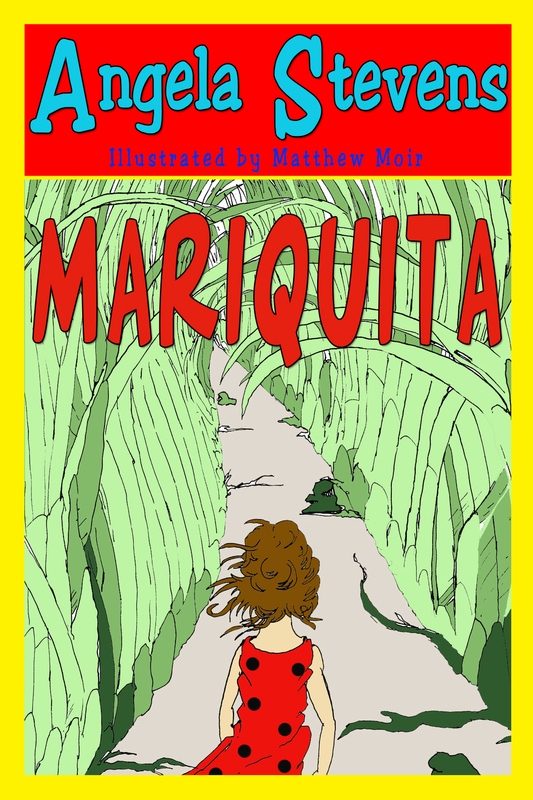 My vision for the cover of Mariquita has evolved as the story progressed and as Matthew Moir came on board with his illustrations. Below are the phases that Mariquita went through before I arrived at the cover I eventually used for the book.